In this week's new animated Home Entertainment releases, the UK finally gets a Blu-Ray release for the second season of Rick and Morty, a new edition of the Ghost In The Shell movie sequel Innocence and a handful of other new titles. The US meanwhile sees the usual mix of anime releases, with new titles like Pop Team Epic and Dragon Ball Super alongside several reissues, complete collections and re-releases. Warner Bros has a very active week in animation, releasing repackaged versions of several of their recent DC Animated Universe movies, alongside collections of vintage superhero cartoons and even a complete collection of Cartoon Network series Courage The Cowardly Dog. Click the links below to order via Amazon (affiliate links used where possible). All information provided is correct at the time of writing to the best of our knowledge and is subject to change. Titles marked with * are re-releases. Battle Girl High School (MVM, 12) Superpowered schoolgirls fight aliens. Bigfoot (High Fliers, U) Cheap CGI feature not to be confused with Smallfoot. Ghost In The Shell 2: Innocence* (Manga, 15) Mamoru Oshii's cyberpunk sequel. Read our review here. 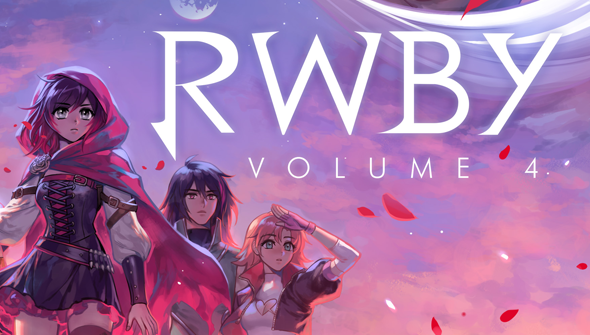 RWBY Volume 5 (Manga, 12) Continuation of the series. Testament Of Sister Devil (Anime Limited, 18) A demon hunter shacks up with a succubus and a demoness in this horror-action anime. Adventures Of Aquaman, The (Warner Bros) 1960's underwater super-hero antics. Aquaman And Friends (Warner Bros) Aquaman meets other DC heroes. Courage The Cowardly Dog: The Complete Series (Warner Bros) Part of the Cartoon Network Hall of Fame collection. DC Super Hero Girls: Legend Of Atlantis (Warner Bros) DC's female superheroes (and villains) get sub-aquatic. Disasterous Life Of Saiki-K: Season 1 (Funimation) Psychic school antics. Dragon Ball Super Part 5 (Funimation) The battle continues with Goku Black. Free! Take Your Marks (Funimation) Movie outing for Kyoto Animations Swimming boys. Free! Movie Bundle (Funimation) Collecting the Free! movie releases. High Speed! Free! Starting Days (Funimation) Prequel feature. Illumination Presents 6 Movie Collection (Universal) Containing The Despicable Me trilogy, Minions, The Secret Life Of Pets and Sing. New Adventures Of Superman, The (Warner Bros) The sixties series featuring the man of steel. Pokemon The Movies 1-3 Collection* (Warner Bros) The first three Pokemon Movies. 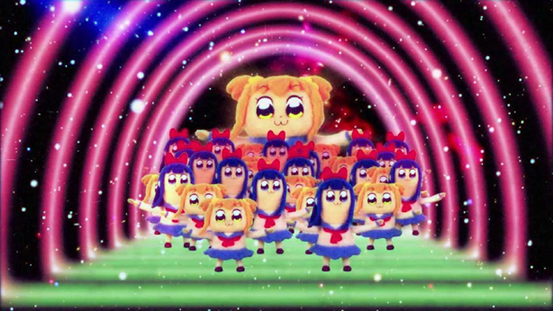 Pop Team Epic: Season One (Funimation) Wacky anime comedy. Rosario + Vampire: Complete Series (Funimation) A human transfers to a monster school. Sailor Moon S: The Movie (Viz) 1994 movie outing for the Sailor Scouts. Star, The* (Sony, PG) Animated retelling of the Nativity, through the eyes of animals. Suicide Squad: Hell To Pay* (Warner Bros) DC Animated movie featuring the villains turned reluctant heroes.